By Julie Jacobson · December 7, 2018 • Long used in unattractive commercial installations, ultra-short-throw projectors paired with gorgeous Salamander credenzas and specialty SI screens make two-piece projection systems a beautiful option for the home. By Robert Archer · October 4, 2018 • Introduced this past September, the new Stewart Filmscreen Director's Choice screen provides homeowners with 4-way masking capabilities to size to an array of aspect ratios. By Julie Jacobson · August 28, 2018 • The wire-free, portable Solo motorized video-projection screen introduced by Screen Innovations last year is now available in a Pro model with ambient light rejection (ALR) material, tailor-made for short-throw projectors. 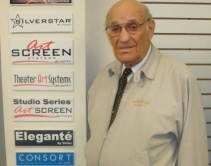 By Jason Knott · May 25, 2018 • Vutec Corp.'s founder and CEO Howard Sinkoff, an innovator in screen technology, dies following a brief illness. 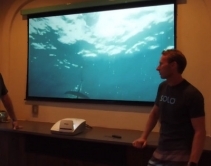 By Julie Jacobson · September 5, 2017 • With its rechargeable motor and ample mounting options, Solo video projection screen from Screen Innovations goes anywhere – on an RV with magnets, on a window with suction cups …. By Advertorial · May 30, 2017 • Convert your home to an automated hi-tech digital style of living, with a mechanism from INCA. Downsizing living space is now easier to manage. 4K, 8K, 16K – Are You Ready for the Resolution Evolution? By Advertorial · April 19, 2017 • Stewart Filmscreen materials are ready when you are. By Advertorial · February 27, 2017 • Introducing Phantom™ HALR™, Stewart Filmscreen’s award-winning high ambient light rejecting projection screen material. By CE Pro Editors · May 5, 2016 • Screen Innovations has debuted a new program that allows integrators to convert business leads from the SI website into potential clients. It also includes 4K demo content for dealers to use. By CE Pro Editors · August 29, 2012 • Stewart Filmscreen is recognized by Los Angeles County as a 'good corporate citizen' for the 5th consecutive year for meeting wastewater discharge limit, maintaining environmental equipment, and fulfilling all permit requirements. 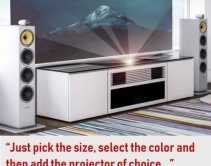 By Arlen Schweiger · February 24, 2012 • Between the motorization aspect and widening of the screen, this product highlights how much more immersive a home theater can be with a 2.35:1 screen. By Jason Knott · June 13, 2011 • Extreme number-crunching puts SnapAV on target to sell $50M of A/V peripherals in just five years. 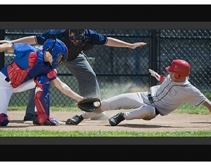 By CE Pro Editors · January 10, 2011 • Rocky Mountain region rep firm took on the dnp Supernova screen line in July 2010 and was recognized during CES 2011. By Tom LeBlanc · June 14, 2010 • Using a Scissor Lift from high above InfoComm 2010 show floor, Draper’s new products made a dramatic entrance.